Even blemished skin prone to spots will rediscover the pleasant feeling of being fresh, clear and moisturised. 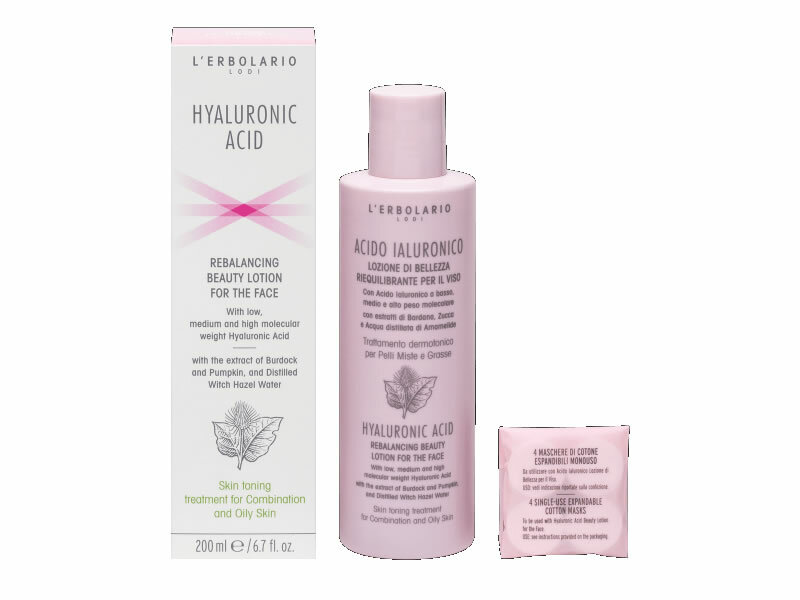 The Hyaluronic Acid with different molecular weights regulates hydration and reduces the loss of moisture, while Burdock and Pupmkin seeds provide theri skin purifiyng and refreshing action. After washing your face morning and night, pour the product onto a cotton disc and gently dab in onto your T zone, neck and low neckline. Let dry before proceeding with your other routine treatmnets. For an intense action, one a week, soak a single use compress and apply it to your face like a cotton mask and leave it on for five minutes. Do not rinse. Avoid direct contact with eyes. 4 single use expandable cotton masks included. Low, medium and high molecular weight Hyaluronic Acid, Extract of Burdock Root, Pumpkin Seed and Wild Radish, Distilled Sage and Withc HAzel Water, Natural Moisturising Factor (NMF).